Brian Murphy is an occasional essayist and reviewer for numerous web and print-based fantasy outlets, including The Cimmerian, Black Gate, Mythprint, REH: Two-Gun Raconteur, The Dark Man, and SFFaudio.com. Outwardly J.R.R. Tolkien and Robert E. Howard seem to share little, if anything, in common. The former was an Oxford professor and academic, a World War I veteran whose childhood extended back to the Belle Epoque and Great Britain’s still sprawling age of empire. Howard, meanwhile, was a small college dropout, professional pulp author, and resident of 1920/30s rural Texas, a generation removed from frontier life. Their life work is typically arrayed on opposite ends of the fantasy spectrum: Tolkien is considered the Don of high fantasy, often characterized as possessing detailed secondary worlds of magic populated by casts of characters focused on matters of ponderous, world-shaking importance. Howard is recognized as the progenitor of sword and sorcery, associated with muscular heroes engaged in mercenary pursuits. It’s not immediately clear where these two very different men developed such similar lines of thought and expression. The most likely answer is a revolt against modernity, which led to developments like the maxim machine gun and the oil field derrick. But another is their literary influences. 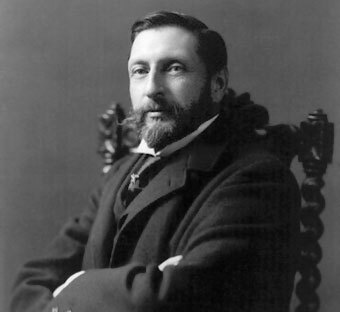 Tolkien and Howard shared a common interest the works of H. Rider Haggard (1856-1925). Perhaps best known as the author of King Solomon’s Mines and Allan Quatermain, Haggard holds a place of honor in being an important (if not the most influential) forefather of sword and sorcery. In a 1932 letter to Lovecraft Howard listed Haggard as one of his favorite writers. John Garth, author of Tolkien and the Great War, sketches out a brief but amusing episode on the campus of King Edward’s School in Birmingham 1911 in which sub-librarians “called for a ban on ‘Henty, Haggard, School Tales, etc … that can be read out in one breath,’” attesting to Haggard’s pervasive popularity during Tolkien’s days as a student. Tolkien wrote a poem directly referencing Haggard’s city entitled “Kor: In a City Lost and Dead,” on April 30, 1915. The poem describes an abandoned city of the Elves and is rife with nostalgia of better times, great civilizations that may still be restored to their former glory. Though no voice stirs within the lost Elven city, its gleaming marble towers merely sleep, “an enduring tribute to its unnamed inhabitants” (John Garth, “The Shores of Faerie,” Tolkien and the Great War, p. 80). As a devout Roman Catholic Tolkien had faith in a final victory—life beyond death in heaven. As an agnostic, Howard’s religious convictions were far less certain. Not surprisingly their depiction of mankind’s works and their ultimate fate differed sharply. From this divergence came one of sword and sorcery’s hallmarks—a concern with upheaval and overthrow rather than restoration of order. From Haggard’s Kor, two roads diverged in a ruined city—and that made quite a difference for fantasy literature. Author’s note: The proceeding piece was inspired by a reading of Tolkien and the Great War, in which author John Garth contrasted J.R.R. Tolkien’s reading of H. Rider Haggard’s She and its forgotten city of Kor with Haggard’s darker intent.